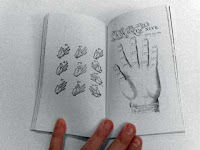 Laurent Hubeek is currently participating in the UvA New Media Master’s program. He has also spent time studying at the Vrije Universiteit Amsterdam where he received a Master’s degree in information sciences. Before making the switch to the UvA, Laurent worked at Accenture, a large multi national IT consulting company, and participated in a variety of projects focusing on HR systems automation. Activities ranged from functional design and requirements elicitation to offshore team coordination and system configuration. Having left behind the world of business IT, Laurent is now exploring his interests in Web culture, social media phenomenon, the security and privacy aspects of IT use, cloud computing and (online) gaming and its design principles. Having an appreciation for old media (and old curiosities in general), he is also developing his skills as a writer on Masters of Media, Xi and his own blog. Alternative post title: The Good, the Bad & the Downright Crazy. Mail-by-rocket, cat pianos, astrolabes, Inca quipu knots and musical fingers. Seems like a fairly random collection of things, doesn’t it? They do have one thing in common, though. They’re all dead forms of media; either because they’re downright silly or impractical – like the mail-by-rocket and cat pianos – or they’ve outlived their time and usefulness – like the astrolabe and the quipu knots. All these objects and more can be found in a wonderful little book called A Collection of Many Problems. 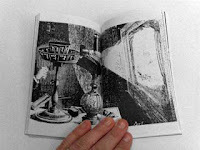 Meticulously collected and assembled by Garnet Hertz, A Collection of Many Problems contains a staggering variety media. Presented without words or commentary, the reader can leisurely browse through one form of media after the other. For those well versed in the history of media, it’ll provide a well crafted, compact overview of media throughout the ages and will possibly contain some old favorites. For those less involved with media and its developments, the book can provide a fascinating eyeopener into mankind’s almost primeval need for representation and its struggle with how to get a message across. At the very least it should illustrate to the reader that ‘the media’ didn’t start with the invention of the newspaper, cinema, radio, and television. A Collection of Many Problems is Hertz’s attempt to address this need. The end result is an accessible, bite sized book and a strong attempt at media archaeology at that. In a time where media are developing and evolving at an increasing pace, it seems all the more relevant to keep an eye on the past, either to be inspired or just to make sure the same mistakes aren’t repeated. Even though the book provides little detail on any of the featured media, it does manage to illustrate the highly relative nature of the term ‘new media’. What does it mean to be new? If anything, it demonstrates that there have always been new media and that more will undoubtedly follow long after our current ‘new media’ have faded away and become old, dead media themselves. To me the book is a lovely collection that allows me to wander throughout the ages and be amazed at the wonderfully creative solutions – failed or otherwise – mankind has developed in order to cope with its need for representation. It reminds me of the originally Renaissance era phenomenon of the cabinet of curiosities or Wunderkammer. Rooms where well-to-do individuals would collect and display curious objects from all corners of the world that seemed to defy classification. 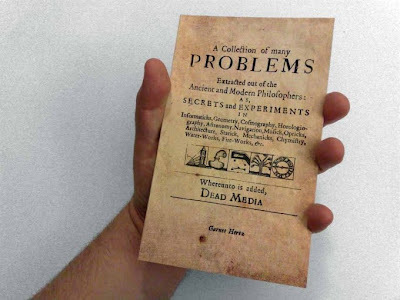 If the idea of a media Wunderkammer appeals to you, you should definitely pick up a copy of A Collection of Many Problems. I doubt you’ll find a collection as accessible as this one anywhere else.